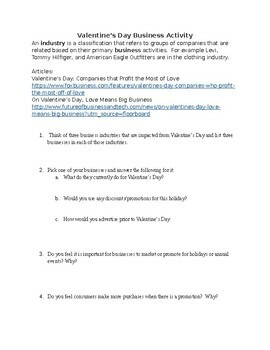 This handout will explain what a business industry is and examine how Valentine's Day can affect business sales. Students will read two linked articles on Valentine's Day impacting business and complete questions on the holiday promotions. This activity leads to great class discussions.